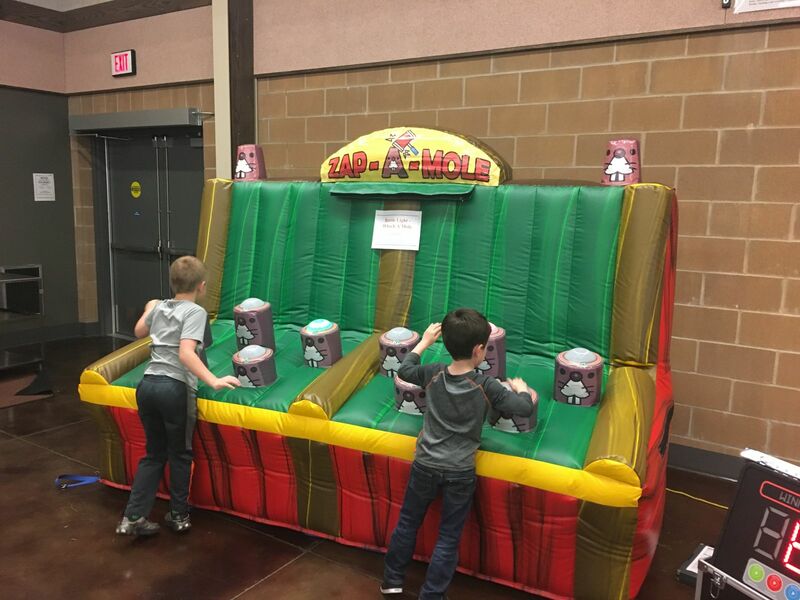 Whack a mole is an all time classic carnival game. 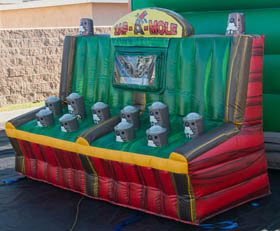 USA Inflatables newest addition will bring this game to your event. 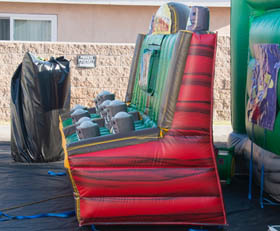 The inflatable game is design for two players who compete head to head. Once the start button is pushed, contestants have to push the lighted buttons. There are five moles on each side. The game gets progressively faster as time goes on. This is the perfect inflatable game for those wanting competition. 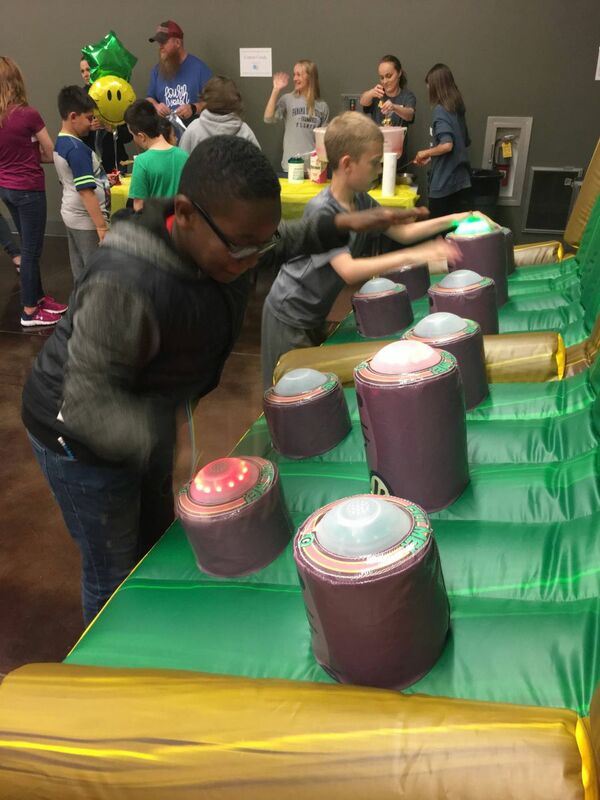 The whack a mole game is the perfect carnival game rental to add on to school carnivals, company picnics, college events, after proms or even a birthday party.